When you buy a new home, you’re buying a community and a lifestyle to go with it. 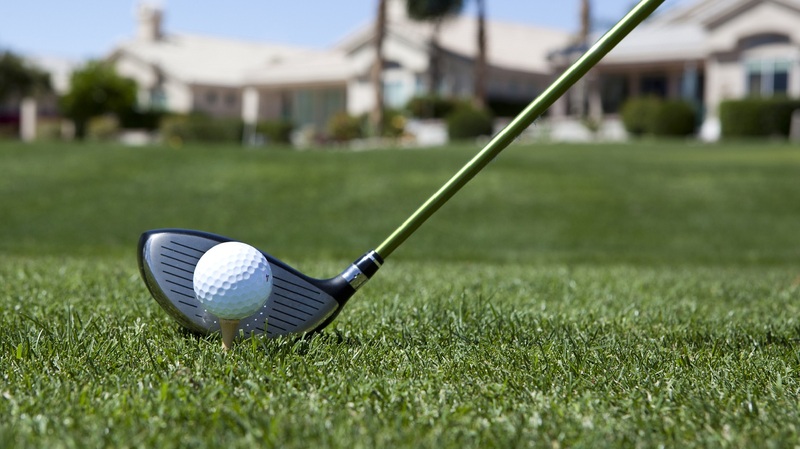 If you're a golf enthusiast, you could prioritize finding a new home community located near or on a golf course. Look at what is in and around the community and consider whether it will meet your needs and contribute to your home’s resale value. There are external as well as internal factors that should drive your choice of community. The external factors include proximity to work, schools, shopping, restaurants and medical facilities. Some master-planned communities include town centers with shopping, schools and office buildings, and are more like self-contained villages than subdivisions. As you embark on your new home search, it’s very likely you’ll encounter a broad spectrum of lifestyle amenities such as recreation centers, swimming pools, tennis and basketball courts, parks and playgrounds and walking trails. Water features such as lakes and retention ponds are often part of the on-site scenery. Dog parks and even water parks have become hugely popular. Are you single or newly married with no children? Do you have young children and/or older children still living at home? Are you downsizing to a smaller home because your children have left the nest? Purchasing a home in a good school district is paramount, says Terre Steinbeck of Rodeo Realty in Beverly Hills, Calif., but parks and pools are also high on the list. “It’s all about the parks, the schools and the pool,” she says. Visit the web site of the town or city where the community is located, says Barbara Bardach of Russ Lyon, Sotheby’s International Realty in Oro Valley, Ariz. Take note of the demographics, crime statistics, business climate and average household income. Once you’ve honed in on a specific community, evaluate the offerings. Are there amenities that cater to children of all ages, such as jungle gyms, pools and basketball courts? Is there a fitness center for adults who don’t want to drive to an off-site gym before or after work? Are there opportunities to meet new people or pursue hobbies such as cooking, dancing or yoga? Is there a clubhouse or other facility that residents can use for social events? Are there trails for walking, jogging and biking? If you’re 55 or older, you may want to consider communities that target active adults and offer a range of age-appropriate recreational and social amenities. In some communities, residents pay for the use of recreational facilities in their monthly homeowners’ association (HOA) dues. The fees vary depending on the builder and community, but they aren’t necessarily onerous. For example, at Fairfield at Vistoso, a gated community in Oro Valley, residents pay $92 a month for the maintenance of the gate, streets, common areas and heated pool. That’s important, because heating a pool in the winter in Arizona would be cost-prohibitive for an individual homeowner, notes Bardach. Living in a golf-course community appeals to many homebuyers, whether or not they play golf. Keep in mind that many developers charge a one-time fee for golf-club memberships or, for a lesser fee, residents can use all the amenities except the golf course. Susan Bady has been writing about the housing industry for 25 years. A contributing editor to Professional Builder, Custom Builder and HousingZone.com, she has also contributed to Better Homes and Gardens’ Home Plan Ideas.